Black and White and Loved All Over: Stuff I Made: Distressed, Chalkpainted Corner Hutch. 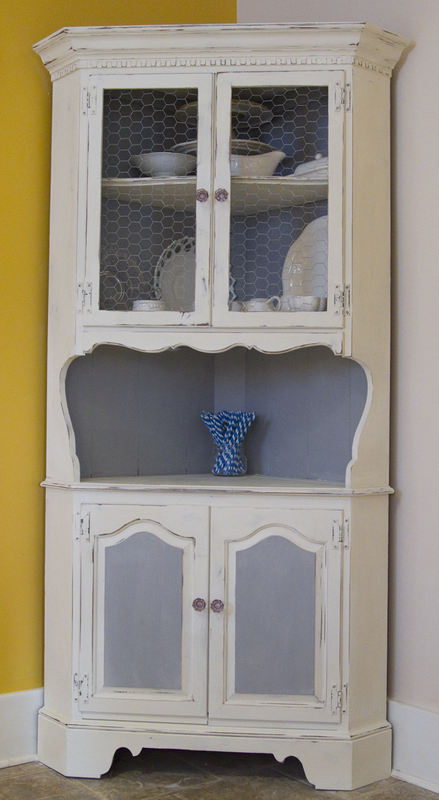 Stuff I Made: Distressed, Chalkpainted Corner Hutch. My mom gave me this corner hutch for our kitchen several years ago. It's been in our family for 30 years; it was a gift to my mom from my grandfather the year I was born. I've always intended to paint it because although it's a really nice piece of furniture, and we can use all the storage space we can get, it looked outdated to me. Howevs, I dreaded stripping the varnish, sanding it, priming it, painting it, waxing it--the whole long process that goes into painting a piece of furniture the right way. Then I heard about Annie Sloan's Chalk Paint! It's basically a miracle paint; not only does it come in all these precious English cottage kind of colors, but you can slap it on right over a piece of furniture without any prep work. And you only need one coat of paint. And it dries quick as can be. And then you just slap one coat of Annie's Soft Wax over the finished product and POW--shabby chic to the max. 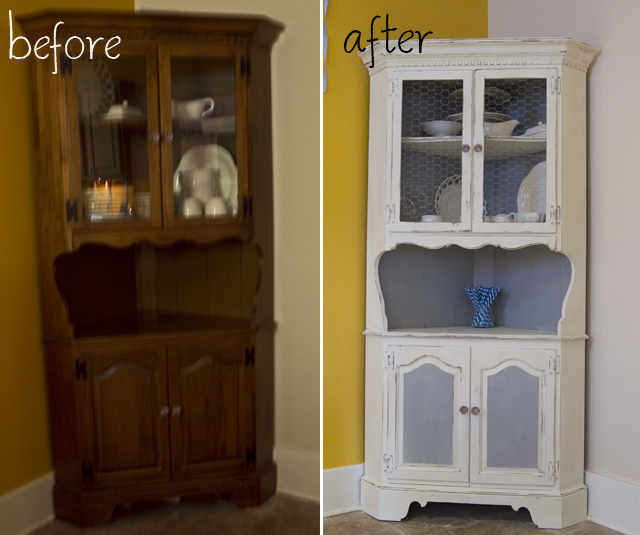 I used Annie's Old White paint for the outside and Paris Gray to accent the inside and the centers of the bottom cabinets. Between painting it and waxing it, I used my electric sander to distress it. 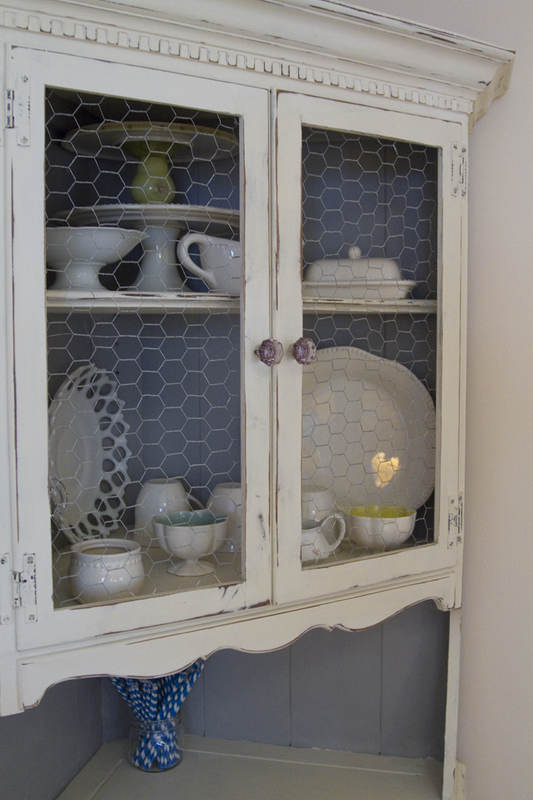 And then I took out the glass and added chicken wire, basically blatantly copying this blogger whose corner hutch makeover I fell in love with. I still have the glass, and I love that I can put it back in whenever I feel like toning down how rustic this piece has become. Basically ... I just love and adore this piece now. It makes me grin every time I walk past it. The paint is pricey, at a little over $30 for a quart, but one quart covers 150 square feet, which is enough to paint about four dressers. 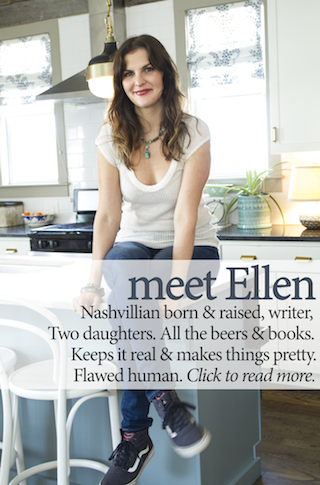 To my knowledge there are only two shops in the Nashville area that sell it: C'est Moi in Brentwood (which is the adorable shop where I got mine) and Then & Again Home Marketplace in Hendersonville. I can't wait to paint more stuff. Looks fantastic!! Really great job! 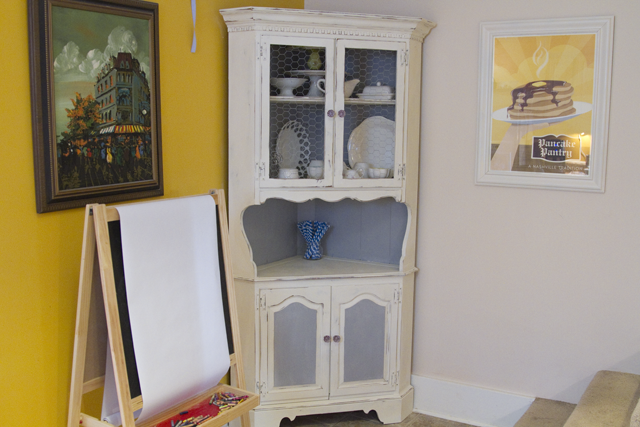 My mom uses chalk paint for painting furniture and lamps, she too said it's a miracle paint! looks great!! i love all the stuff you have in it too. good job mama! amazing! love it. great work lady. 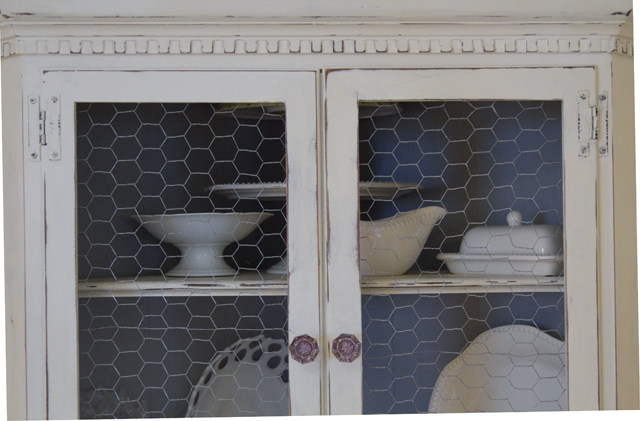 This is beautiful...What kind/size of chicken wire (I'm a city girl :) and where did you purchase? This is beautiful! I am trying to find a hutch like this for my kitchen. I kept seeing this picture everywhere, and was desperately trying to find where to buy it. I was crushed to see this was a personal item. lol Guess I'll have to try to do it myself! You did a great job!